The Timber Creek High School Falcons fell to the Byron Nelson Bobcats last Friday night in the team’s first loss of the season. The Bobcats picked up 37 points to the Falcon’s 10 during the Sept. 26 contest. That puts Timber Creek at a 3-1 record for the Fall season, but a 0-1 record for district play. Even before the start of play, the rivalry between the schools drove attention to the game. 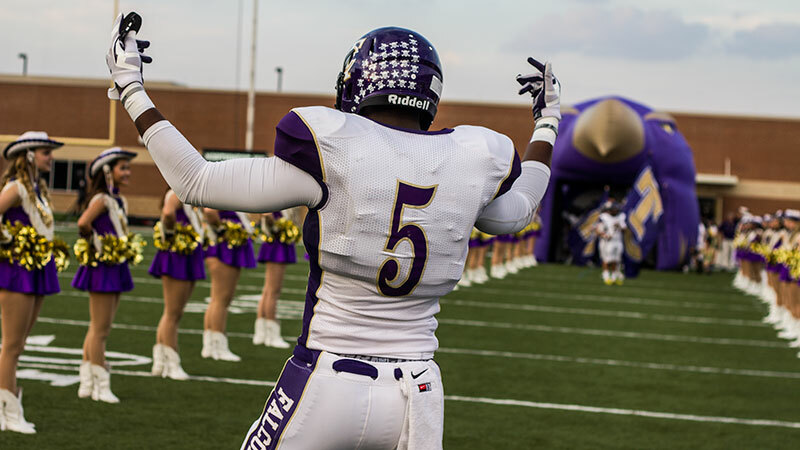 So is Byron Nelson – Timber Creek a rivalry? It sounds like you guys have a lot of hate for one another. The Falcons continue district play on Friday against Fossil Ridge High School. Timber Creek’s homecoming game, scheduled for Oct. 24, is another district game against Northwest High School.